The lawyer’s way began in his student years, as an assistant attorney. After graduation he was in the civil service in the district court. Continuing time one of the main activities was to manage the affairs of military personnel both in criminal and in civil and administrative case matters in garrison and district military courts throughout Russia ( Moscow and the region; Borzya, Trans-Baikal Territory; Chita; Chebarkul training ground, Chelyabinsk Region ; Samara Region; Rostov Region and others). 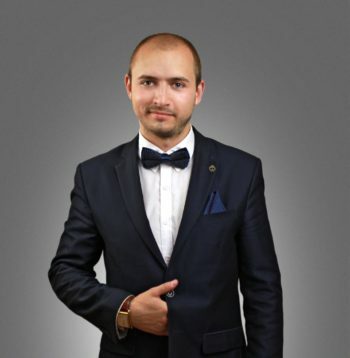 Vladimir has various, more than 10-year-old successful legal experience, including judicial practice on a wide range of criminal, arbitration, civil and administrative cases, mainly specializes on high complexity cases. Has a successful judicial practice of criminal, arbitration, family, labor, corporate disputes and cases of consumer protection. Professionalism, quality, individual approach to each principal, confidentiality in the provision of legal aid – the main priorities in the work of the lawyer Medvedev. Currently, in the International Bar Association “Levant and Partners Law Firm”, Vladimir engaged in the development of cooperation and partnership with China, management of complex projects in various areas of legal activity.